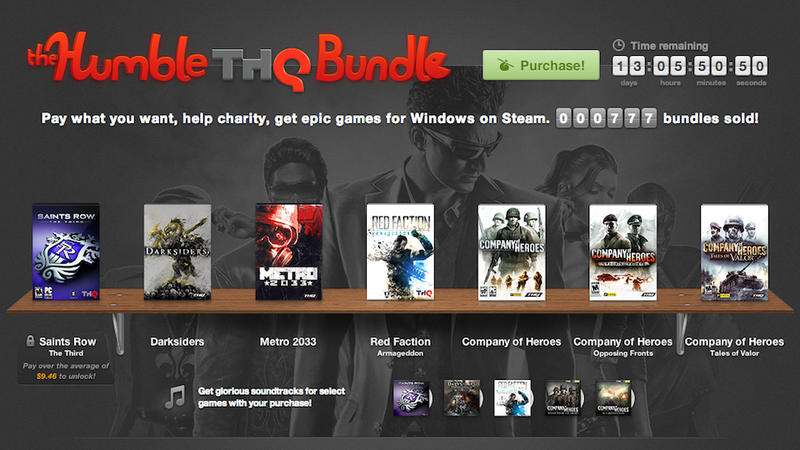 Ahh, Humble Bundle, the best site in the world for great packages of indie games and- wait, what's this? Saints Row? Darksiders? I see you, THQ! Just peeking in the bushes there, waiting to ensnare us with your new humble bundle. You're not an indie developer at all, THQ! What are you even doing. At least it's a good deal. And I guess they're certainly humble.